Tripura Assembly is in news not because of any political party but for the national anthem. On Friday, it was for the first time that national anthem was played in the Tripura assembly. The first session of the Assembly began with the newly elected Assembly Speaker, Rebati Mohan Das. The meeting was commenced at 11 am. During the meeting hours, Pro-tem speaker Ratan Chakraborty arrived to conduct the Speaker's elections. Therefore, after the arrival of Minister, the national anthem was started in the Assembly and all the ministers, members, officials, journalists and spectators stoop up to show the respect to it. Assembly Secretary Bamdeb Majumder also announced that they will try to play the national anthem every day. Bamdeb Majumder said in an interview that he doesn’t know that national anthem is also played in other Assembly in the country. 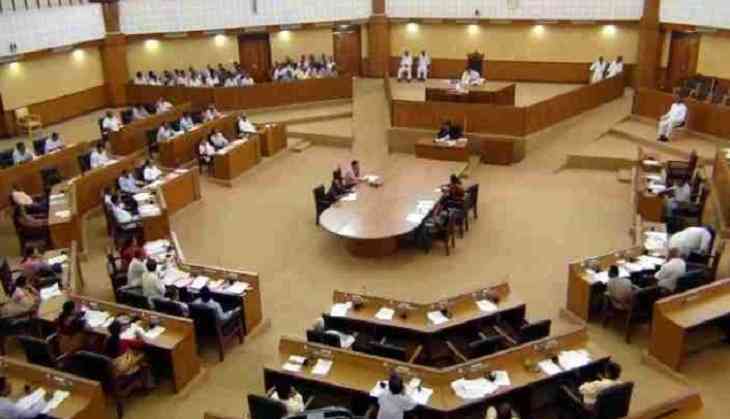 Communist Party of India-Marxist legislator Badal Choudhury told IANS that the Assembly authorities did not consult the opposition on the issue. Talking about the BJP legislator Rebati Mohan Das, who is recently elected as a new speaker of the Tripura Assembly. She joined the party just before the 18 February polls and for the first time Rebati elected to the Assembly from the Pratapgarh. Chief minister and leader of the House Biplab Kumar Deb and Opposition leader and former Chief Minister Manik Sarkar assured the new Assembly Speaker for helping her to run the House smoothly. Ratan Chakraborty, Protem-speaker conducted the election.